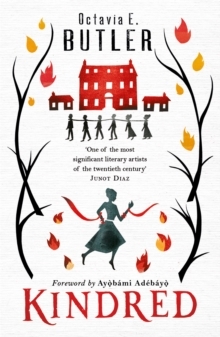 This novel was originally published in 2011 and has recently been re-published by Pushkin press. 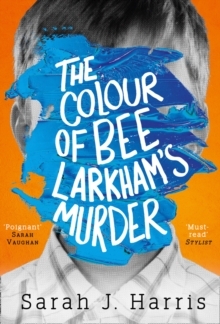 This book had me immediately engaged with its dark humour and quirky characters. the richly described plot is multilayered and overly complicated giving it the feel of a Cohen Brothers' film - which I loved. The story revolves around a desert town in an unnamed African country in the aftermath of the Munich attacks at the 1972 Olympic Games. We find ourselves embroiled in a crime thriller which we are trying to unravel through the eyes of the protagonist who has woken up in the desert with a head injury and no recollection of who he is, what his name is, or how he came to be in the desert. The story is vivid, occasionally brutal and often surreal it races along at dizzying pace and is not resolved until the very end. Unfortunately Herrndorf's writing career was very short. 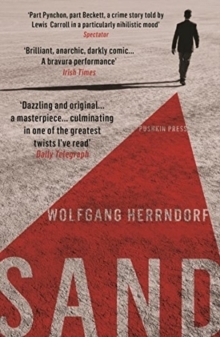 His most commercially successful novel 'Why we Took the Car' was published in the UK in 2010 and Sand, his second novel, was published in 2011 and was shortlisted for the German Book Prize. Herrndorf was diagnosed with a brain tumour in 2010, and sadly committed suicide in 2013. I would highly recommend this novel to anyone who likes plots verging on the surreal with quirky characters and devilishly clever story telling. For all its bazaar overtones, this story makes thoughtful probes on the very basics of what makes us human. Another re-released novel. Kindred was first published in 1979 has been newly released and reads as fresh and relevant as it would if it was written today. Like Sand, Kindred is somewhat of a cross-genre novel. Butler is a science fiction writer but using time travel in this story which covers issues of race, gender, and slavery. Told in the first person Dana is a black writer living in modern day New York who finds herself linked in time with a young boy - Rufus, son of a slave owner, living in 1819 in the antebellum south. Rufus has a troubled childhood and whenever he feel in danger he 'summons' Dana from the future to help him. As Dana's visits to the past become more frequent she stays in the past on get and longer and forges relationships with the women of the slave plantation. I enjoyed the way the story gives thought provoking consideration to the dynamics of racism and slavery but combines this with a fast paced time travel adventure. A brilliant con read. Octavia Butler was an influential American SciFi writer and was well known for exploring issues of race and gender in her novels. This is the story a murder which takes place in a quiet urban street. A key witness is a thirteen year old neighbour - Jasper. The only problem is Jasper is autistic and has synaesthesia. We have to piece together the events through Jasper's vivid and utterly unique perception of the world, where he reveals what he saw by painting the sounds of his experience. Synaesthesia is a condition where people experience words and sounds as colours. Reading Jasper's first person account of what happened to his neighbour as he tried to piece together what happened gives a very unique and quirky take on what would otherwise be a straight forward crime thriller. This is Sarah J Harris's debut novel.